To carry out agarose gel electrophoresis who allows separating by sizes the nucleic acid molecules and analyzing PCR amplified products. 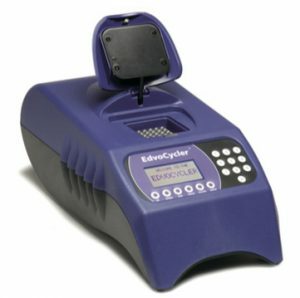 This is the apparatus to perform the PCR. It can hold 25 microtubes of 0.2 ml. 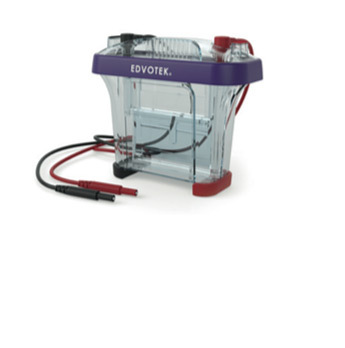 This apparatus perform the gel polyacrylamide electrophoresis for separating proteins of different sizes. It allows contain polyacrylamide gels (9 x 10 cm) ready. 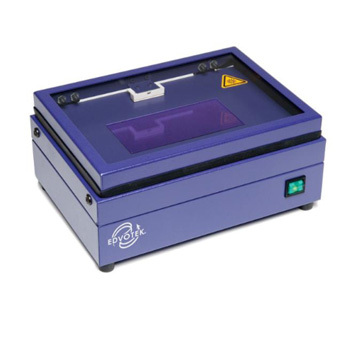 It is an ultraviolet light source, where the gel is placed to visualize the nucleic acids. 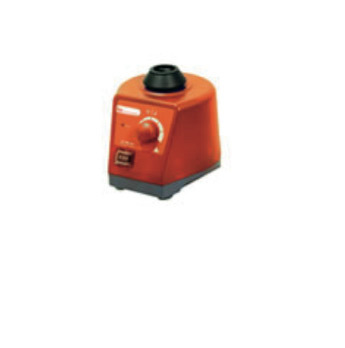 The DuoSource TM 150 unit supplies electrical power to the horizontal and vertical continuous chambers. 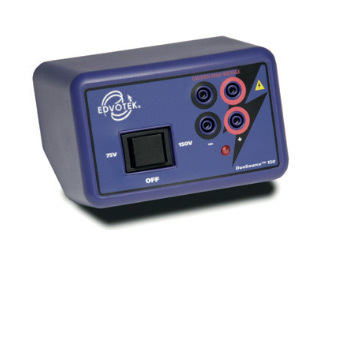 You can select the voltage to 75 or 150 volts. 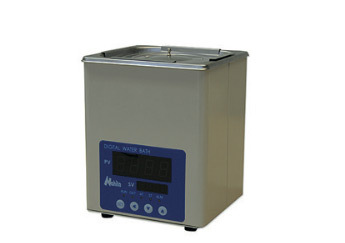 3 liters waterbath with adjustable temperature, it is basic for all kinds of incubations, digests and enzymatic treatments. Vortex is to homogenize samples and reagents. 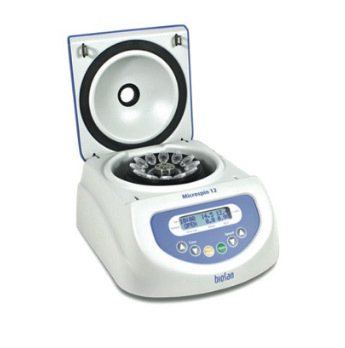 The centrifugal high speed mini Microspin 12 is a compact desktop centrifuge designed for biomedical laboratories. 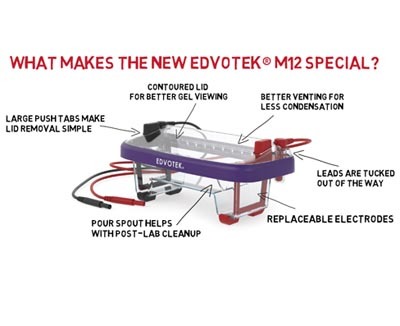 The microspin 12 is used for extracting samples of DNA / RNA, biological components sedimentation and for biochemical and chemical analysis microcuvette. 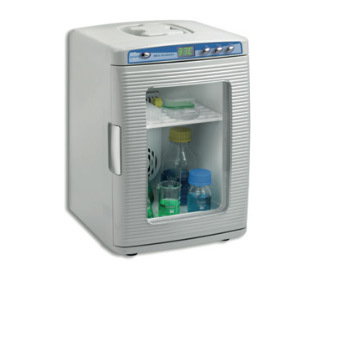 Economic bacteria incubation oven with digital temperature control in a range of +1 to 60ºC. 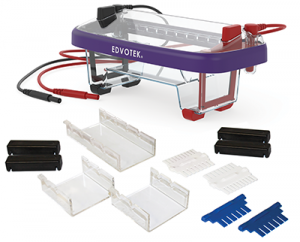 It is ideal to grow bacteria on agar plates at 37ºC or Southern and Western Blot analysis at 60ºC. 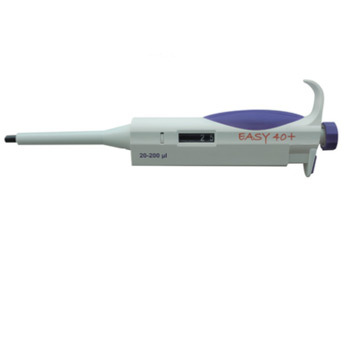 We can supply variable volume micropipettes different games to have differentiated equipment for extraction and PCR equipment and corresponding filter tips to avoid aerosols contaminating the body of the pipette.